The first film to take a critical look at the 2011 Wisconsin Uprising, DIVIDED WE FALL traces the genesis of the historic capitol occupation and weeks-long protests from the perspective of graduate teaching assistants at the center of the action and exposes tensions that challenged the movement's solidarity. Central Cinema Nights is a movie screening in the Central Library’s Durwood Film Vault taking place Wednesdays at 6:30 p.m. Join us as we watch and discuss documentaries and feature films in a socially conscious setting, chosen to fit a monthly theme. 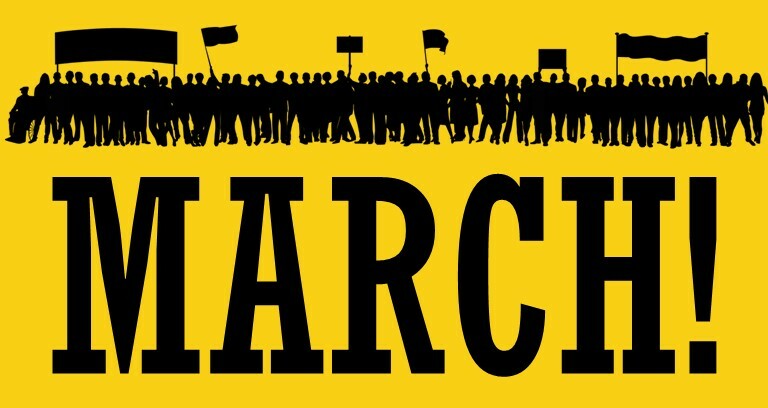 This month's theme: March! This March we are showcasing documentaries about events that made folks take to the streets. From Ferguson to the Wisconsin state capital, these films spotlight people and groups who stood up for their beliefs and changed the American Narrative.